When your trees need pruning, you may be tempted to do the work yourself. But merely lopping branches here and there does more harm and may even damage your tree’s structure. If your trees need maintenance, the experts at Jim’s Trees are always at your service. Our tree surgeons are certified practitioners in the science and art of preserving and maintaining trees. Be it trimming, pruning or reducing, they can carry out the job expertly so that your trees continue to look their best and flourish. 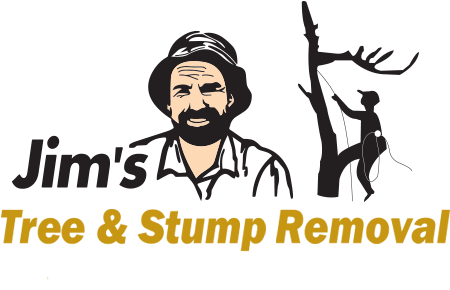 Jim’s Trees hires arborists directly which means you deal with a trusted employee of the company and not a sub-contractor. They understand trees and have knowledge about the various species. Being deft climbers, our tree surgeons can access restricted and difficult spaces. You can take advantage of our professional staff at very economical rates. Call us today and get a free, no-obligation quote. Besides residential properties, our licensed tree surgeons also provide consultation services to businesses and governmental organizations. With years of experience under their belt, you are assured of high-quality workmanship, safety, timeliness and efficiency in every job or project. They are fully qualified and extensively trained to undertake any kind of tree removal, pruning or trimming work. Our staff also ensures all relevant Australian standards are met, with the key focus being on customer satisfaction. Are you in need of an arborist report from a recognized company? Do you need to make improvements to your garden or trees? Jim’s Trees can help you cut through the red tape and speed-up the permit approval process. You need a tree removal permit from your local council to get rid of a significant tree in your property. With our free, no-obligation quote, you receive expert advice on all the formalities involved in successfully obtaining a tree removal permit. We can also help you with all the relevant paperwork and reduce your hassles. With a professional arborist report, we speed-up the permit approval process so that you obtain the necessary permissions in a timely manner. We prepare tree reports for a number of clients including individuals, corporates and the government. All arborist reports comply with industry guidelines. Call us today and find out how we can help. You can also send us an email or fill in the online form.